Adoption of new tech trends can increase efficiency in laboratories. It enables researchers and scientists to obtain more reliable and accurate data than ever before. For example, communication efficiency increases the speed in which tests are completed and reduces operating costs. Below are some of the expected tech trends in the lab equipment world. While lab equipment automation is not a new trend, it continues to advance and spread across other fields of science. Technological advancements continue to bring more efficiency in applications and functions. Lab technicians can now use a microscope to complete several different tasks. Equipment automation has enabled lab technicians to eliminate repetitive experimental steps and reduce time wastage. It is now possible to generate results in a fraction of the time taken to complete an experiment. As such, lab technicians can now spend much of their time on data analysis rather than keeping data records. Lab technicians and scientists apply automation in areas such as genomics, screening, proteomics, and robotics. Researchers are using automation tools to meet their needs throughout the entire research process and even outside of the lab. The latest lab equipment is allowing scientists and lab technicians to record data and stores it in the cloud. They use the same devices to receive notification when something goes wrong. Real-time monitoring is fundamental to a controlled laboratory environment. The results of unregulated lab environment often lack reliability and accuracy. Even a slight change in temperatures can alter the entire results. Today, modern freezers notify lab technicians on their smartphone when there is an unanticipated temperature change. Scientists can also use computers or smartphones to monitor an experiment from any location. Furthermore, cloud technology allows lab technicians to share their study findings faster than ever before. Scientists in different labs can use cloud technology to upload and access research data. The ability to communicate allows scientists to work collaboratively and increase data reliability. The field of scientific research is one of the areas affected by growing environmental concerns. The amount of energy consumed by research labs tends to be approximately five times more than that of a regular office. However, the latest lab tech trends have enabled researchers and lab technicians to utilize resources efficiently. Labs all over the world have upgraded to the most recent technology to allow researchers to share lab resources and equipment. Open labs enable scientists around the globe to access lab equipment at a reduced cost. Over time, scientific labs have become eco-friendlier. They use recycled equipment as a way of keeping up with environment, health and safety guidelines. That has reduced the cost of equipment significantly and kept the environment safer for habitation. Furthermore, the latest technologies allow lab technicians to determine the exact amount of consumables required to complete an experiment. Consequently, costs and resource wastage have reduced significantly. Over time, tiny lab equipment is being developed to replace the old ones. As a result, lab technicians will save a lot of space in the laboratories. For example, fluidic components have replaced a series of valves and pumps that could be used to store specimen. The new technology has made it easier for scientists to use smaller amounts of sample. 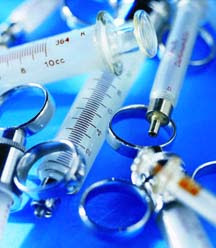 With the use of small valves, researchers can avoid sample contamination. Increased access to the latest lab equipment has enabled greater collaboration than ever before. Researchers and lab technicians can now cut costs and streamline procedures through lab automation and adaptation of sustainable environmental practices. Tech trends are growing at a rapid rate, meaning scientists can obtain experimental results faster and efficiently.